Fela is gone, but his legacy still lives. Creating the afrobeat wave is a phenomenal achievement, but what Abamieda will forever be remembered for, is standing up to the people in power and speaking his truth. His courage, like his legacy, is not lost, it thrives in us all and inspires us everyday to be unrelenting, undiluted, and bold. 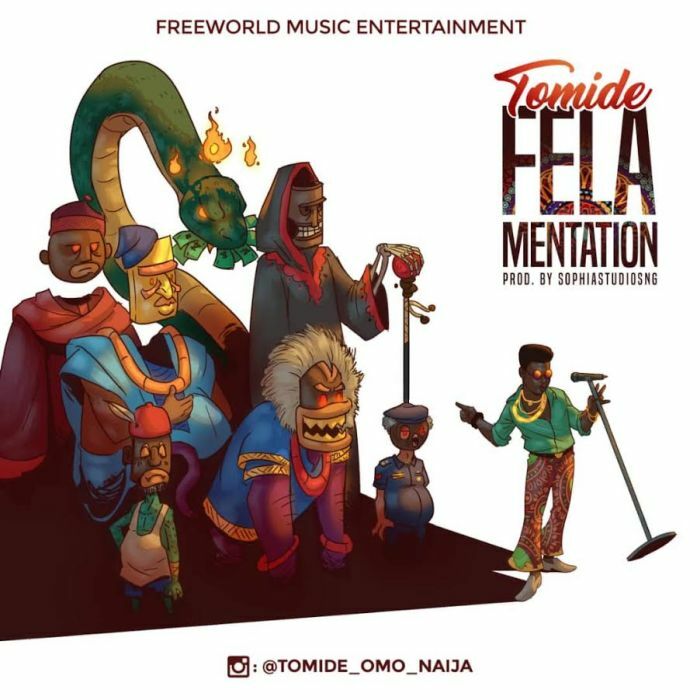 #Tomide new single Felamentation is a song in honor of the god of afrobeats while addressing some nonsensical and outrageous things still happening in our beloved country. Fela n gbo, Abami n gbo, and the revolution is at hand. My name is Tomide Omo Naija, and I’ll always speak my truth.